Filled with icy fjords towering over the Pacific Ocean with snowy peaks stretching across the horizon, Alaska seems to have no boundaries. Start this magnificent expedition in Petersburg, nicknamed “Little Norway”, and make your way across this rich region admiring all the local wonders and history it has to offer. Tribal members share Kake’s history—settle in, it goes back thousands of years. Keep your eyes peeled on the woods, on the shore, and in the air. Slide into a kayak or skiff and glide along the fingerling islets and passageways. This itinerary includes one-night pre-cruise hotel stay and excursion in Petersburg. Velkomen! Petersburg, nicknamed “Little Norway”, has its fair share of charm. Check in. Drop your bags. Then head into town. This hardworking fishing harbor bustles with action—trollers, seiners, longliners, crabbers. Beachwalk and bird watch. The views are pretty good too with the Coast Mountains and Devil’s Thumb looming from across the bay. Rest easy tonight, you have a big adventure tomorrow. Overnight at Tides Inn (or similar). Flightseeing to a glacial icefield, fishing charter, or easy-going dock walk? You made your choice, but you might not have to live with it. You are in Alaska after all. And weather can factor in on your mode of transportation for these activities. Whatever the day brings, enjoy it! Make the scene with the locals, you’re on your own for lunch. Late afternoon, get a warm welcome aboard the Safari Quest. Settle in with champagne for an evening sail into whale-loving Frederick Sound. At the northwest end of Kupreanof Island, dancing, legends, and totems tell the Tlingit story. Tribal members share Kake’s history—settle in, it goes back thousands of years. Ambling along, black bears. Eyes peeled on the woods and the shore. Look up now and again for bald eagles. Across the water, the Keku Islands dot Keku Strait. Slide into a kayak or skiff and glide along the fingerling islets and passageways. Make for shore on a tidal zone stroll turning up sea life clinging to rocks. Back on board, you’re greeted with a Viking handshake and a belly-warming cocktail. Into the wild you go, on the western shore of Kuiu Island. Just shy of 67,000 acres of islands, islets, and forest sits in the Tebenkof Bay Wilderness Area. And a little farther north, the Bay of Pillars. Either primed for exploration. Rubber boots at the ready—muskeg, woods, and tide pools set the stage for guided hikes. Kayaks and skiffs bring on the search for seaweed, kelp, harbor seals, sea stars, and jellies. Or try your hand at paddle boarding. Balance not quite so steady? The crew has a dry towel and hot toddy ready if you take a “polar plunge” by choice or by accident. 2,500-foot high granite fjord walls. Rushing waterfalls. Snowfields and glaciers blanket the high country of South Baranof, giving way to coastal forest of hemlock and spruce. Your captain knows these waters like the back of her hand. 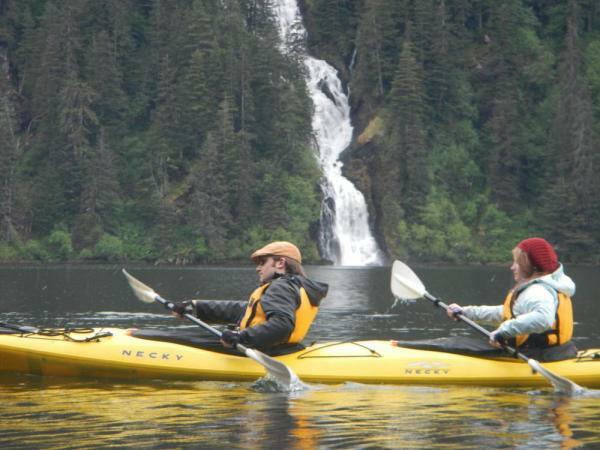 Skiff and paddle among little-known inlets with your guides, and likely seals, otters, and sea lions, too. There’s brown in this green landscape—Baranof is a hot spot for bears. Take a scrambling bushwhack in search of lupine, big views, and massive rainforest. Underway again, pop up to the bridge to look over charts with your captain and mates. Humpbacks migrate in droves to Frederick Sound and Chatham Strait. The krill and plankton here are just to their liking. Grab your binoculars and rally with your shipmates on the bow. It’s a sight to see when lots of whales appear far and near; their spouts look like picket fences. Look for the tell-tale bubbles and blows. And have your camera point-and-shoot ready. Drop the kayaks and skiffs and along with your guide, take your search to tucked-away nooks. 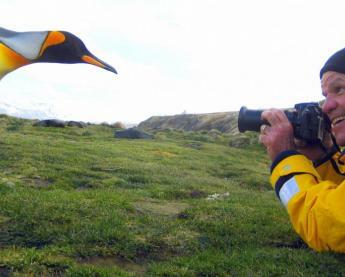 It’s also a favorite spot of orcas and Dall’s porpoises—and likely one of yours too. 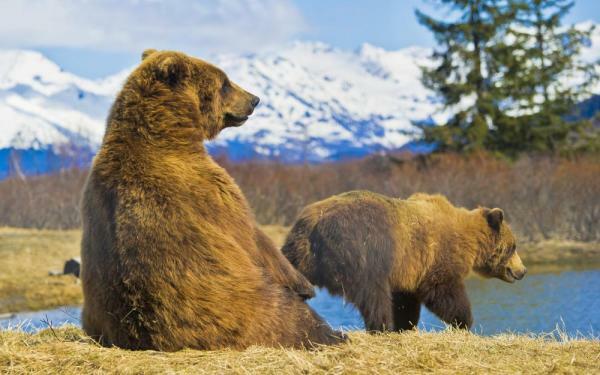 Tlingit call the island Kootznoowoo, meaning “Fortress of the Bear.” Inspiration for the name is clear—the highest concentration of brown bears in the world, more bears than the lower U.S. states combined. It also claims the world’s greatest congregation of bald eagles. Wake in the heart of this wilderness, near Windfall Harbor. Pull on your gummies (boots) then hop aboard the skiff for a wet landing and a hike to a bear sanctuary. 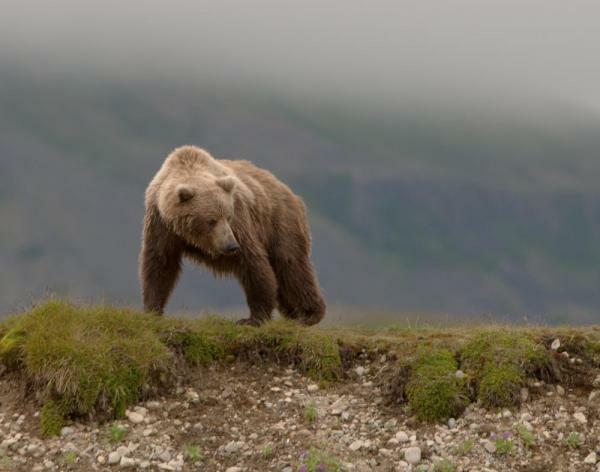 A local guide meets you on the beach for an orientation, then leads the way to the bear viewing area. Take it all in—these are powerful beings. Lower your pulse with a quiet kayak or write postcards on the sun deck later in the day. Alaska wilderness delivers! Flowing a little slower than your typical river, you find a river of ice and the southern-most tidewater glacier—LeConte. It’s a grand finale of a day. Tides and currents decide your LeConte Bay adventures. Drop anchor in Ideal Cove and hike along the Three Lakes trail. High tide? Pass bergy-riding seal pups as you motor through the glacier’s ice gardens. Low tide? 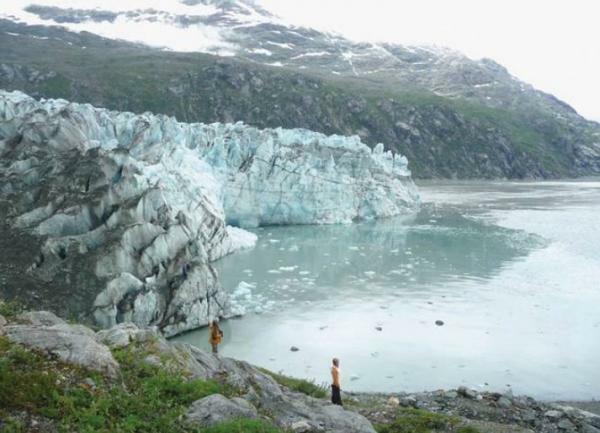 Walk among icebergs caught in the glacial outwash field. Cap off your week with a celebratory Farewell Dinner and slideshow. Truth, all good things must end. After one last breakfast with new friends, transfer to the airport for your flight home. 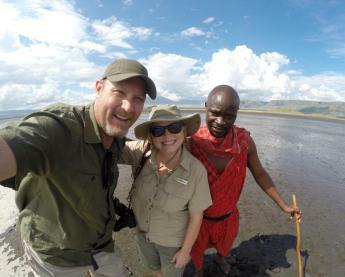 The Safari Quest provides guests with intimate adventure experiences, comfortable staterooms and public spaces with ample room to get away from it all. Carrying 22 passengers, enjoy small ship luxury cruising at its finest. C1, C2, C3, C4, C6. King, queen or twin beds, elevated port holes, private bath. B2. Queen bed, view window, private bath. A1, A2, A3 & A4. King, queen or twin beds, balcony, private bath. B1. Single twin bed, view window, private bath. - All rates are quoted in USD and represent cost per person, based on double occupancy. - Quoted rates include all excursions, meals, educational programming, and transfers. 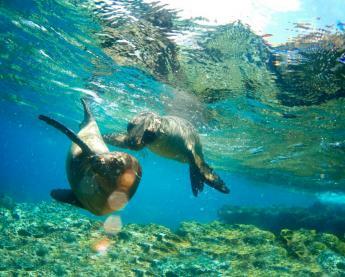 Initial deposit is $750 cruises 14 nights or less, $1500 for Galapagos cruises, and most travelers will call our office and pay the deposit with a credit card. Alternatively, you can register online here.